Our targets: Brazilian Tapir, Capybara, Giant Anteater, Giant Otter, Jaguar and lots of birds! Our plan is simple: We will look for and find wonderful wildlife, and we’ll have great fun together as we concentrate on creating beautiful wildlife images and learn new photography techniques that will help us get better shots no matter where we are in the world. We will take time to understand and appreciate the incredible wildlife that Pantanal has to offer. Its unforgettable scenery, one of the greatest birding and natural history destinations on Earth. The Pantanal is a place of superlatives. Home to the world’s largest fresh-water wetlands, the Pantanal is ten times the size of the Everglades, covering about 200,000 square kilometers mainly in the southeastern Brazilian states of Mato Grosso and Mato Gross do Sur. “Pantanal” is derived from a Portuguese word meaning “swamp.” It is a gently sloping basin with meandering rivers which slowly release water to a single drainage channel, the Paraguay River. Annual flooding nourishes the producers of the Pantanal, which in turn nourish all other species as well. The sheer numbers of birds and animals have to be seen to be believed. The Pantanal is widely considered to provide some of the most spectacular wildlife viewing anywhere on the planet. Even relaxed birding can yield more than a 100 species a day, and on some days, dozens of mammals (especially capybaras), hundreds of yacare (one of the smaller crocodilians), and thousands of birds. The quality of these sightings is top-notch. How about the big blue Hyacinth Macaw for starters? Another five of the top targets might be the Greater Rhea, Helmeted Manakin, Toco Toucan, and Jabiru. A jaguar sighting would be the ultimate mammal sighting, followed by five other large mammalian targets, the Brazilian tapir, giant anteater, giant otter, capybara, and ocelot. As for reptiles, one serpent tops every visitor’s “wish list”: the world’s biggest snake, the anaconda. The rarer of the two species in the region, the green anaconda, is the largest, reaching 6 meters and weighing up to 250 kilograms. Traveling with us for the entire trip will be English-speaking nature photographer Juan Carlos Vindas. Juan Carlos is widely praised for his easy-going style, his amazing breadth of knowledge about nature, and his extreme devotion to each and every client. 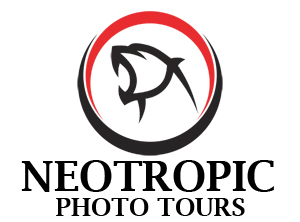 The tour will be hosted and operated by Neotropic Photo Tours. In the dry season between June and late October, the vast flooded fields shrink to smaller ponds, and many animals are drawn to these water holes. By October the rising Rio Paraguay will flood the vast grasslands. The only road to penetrate deep into the Pantanal, the “Transpantaneira”, is an unfinished project from years ago (1970). It provides amazing elevated viewing from something resembling a levee. Created during road construction, roadside ditches are now filled with water and have become a magnet for water birds, mammals, reptiles, and amphibians. Drives along this “highway” are true safaris. The road crosses a wide range of habitats, from dry grasslands and open scrub in the north to large semi-deciduous forests and extensive swamps farther south. This habitat gradient means that each of our lodges and “fazendas” (cattle ranches) has its own distinctive wildlife community even though they may be relatively close to one another. The trip begins when your international flight arrives in Sao Paulo and the same day you fly to Cuiabá, the northern gateway to the Pantanal, where Juan will be waiting for you. Then the next day we will drive south on the Transpantaneira to our first lodge, a ranch near Poconé. Brazil is a surprisingly large country. In a real extent, it is larger than the “Lower 48” in the U.S. Distances within the country are great, but we’ll be travelling within a region that has a good infrastructure for nature tourism. As to the weather, our tour will coincide with later winter in the southern hemisphere. We can expect generally hot and dry conditions, possibly with a few minor showers. Low temperatures are around 70 degrees Fahrenheit, and high temperatures are around 100 degrees Fahrenheit. Portuguese is the language spoken in Brazil, and while closely related to Spanish, the pronunciation seems totally foreign to many Spanish speakers. Day 1: Sao Paulo/Cuiabá: Most flights from the U.S. and Canada arrive in the morning at the Guarulhos International Airport (GRU) in Sao Paulo. Once a deposit is made, we will be sending you full list of the lodges we where we will be staying. We will be staying at 4 different lodges to maximize the number of species. For this tour, we will not only focus on birds but also on the several iconic mammals that roam around the Pantanal area including the largest feline of the American continent, the jaguar. The trip begins in Cuiabá and ends in Cuiabá, Brazil. You need to arrive in Sao Paulo no later than mid-day on August 31th. (Friday) Most flights will arrive in the morning, often quite early. The trip ends on September 12th with transfer to the international airport in Cuiabá from where you will fly to Guarulhos International Airport (GRU) (around 12pm.) for homeward flights in the afternoon or evening (Leaving home on the 13th from Sao Paulo). Juan Carlos will be waiting for you outside of the airport in Cuiabá to transfer you to your hotel, (first and last night in Cuiabá and transfer to hotel/Cuiabá airport are included in the price) where at some point, the group will meet. We stay at fazendas (lodges) designed to serve wildlife photographers as well as birders who come to the Pantanal. Accommodations in the field are simple, but rooms are very clean, have private baths and hot showers. In most locations, they have air-conditioning. Pantanal lodges serve local cuisine typical of the region, very rich in varieties of fish. As well, you can’t escape the beef on a cattle ranch, but again specialize in typical local foods. A wide variety of foods are available in Sao Paulo and Cuiabá. Vegetarians can be accommodated, but choices will be limited in more remote lodges. Remember the old adage “the early bird eats the worm”? A wide-angle lens is also welcome as the Pantanal can offer starry nights with no light pollution as well as breathtaking sunrises and sunsets. You will be using a long telephoto lens such as a 500mm or 600mm for birds and a zoom (with good light) for those encounters with large mammals, but don´t worry if you don´t own a super tele photo lens, some photographers even bring only a 100-400 but you will certainly be limited. Also, bring your tele extenders, 1.4X TC and even 2X TC if you own one. A sturdy tripod and gimbal head if you are using a long lens. A headlamp is a must as it is dark when you walk from your room to the restaurant. You could also bring a flash to be used with birds as most mammals will not respond well to flash. If you plan on bringing your flash then also bring the appropriate flash bracket and cord, rechargeable batteries and its charger. A laptop to download your images plus one or two external hard drives, fast read/write CF or SD cards and spare batteries for your camera. You will need to bring something to protect your gear in case of sudden rain. Lenscoat or a plastic bag to cover your lens (es) and camera. For this trip you will want comfortable, loose clothing with long-sleeves and pants for protection from the environment. Temperatures will often be quite warm, but this is the season when cold storms blow up from the south, so you will need to have a warm jacket for that possibility. Don´t forget to bring your hat! Laundry service will be available allowing you to travel with a minimum of changes. You will want a backpack where you will need to have all you need to photograph the different subjects we will find every day. 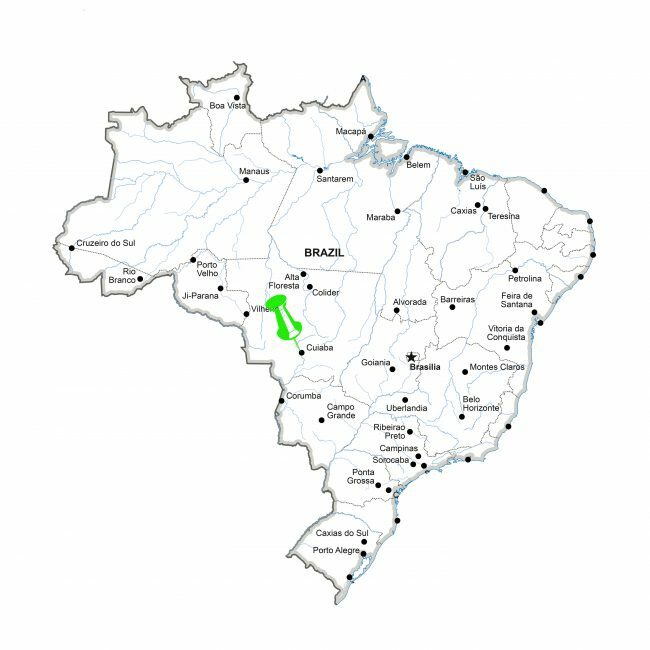 There is no malaria in the Pantanal, but yellow fever has recently been reported from Minas Gerais state (Belo Horizonte is the capital) and elsewhere. Yellow fever vaccine is strongly recommended for all travelers to Brazil except those only visiting Rio de Janeiro, Sao Paulo, and certain coastal areas. The vaccine should be taken at least two weeks before exposure and remains effective for life. Be sure to bring your “yellow booklet,” the International Certificate of Vaccination. Taking measures to protect yourself from mosquito bites is an essential part of preventing yellow fever. Additional inoculations to discuss with your doctor, if you have not already had them, are hepatitis A, typhoid, and tetanus. It will be necessary to drink purified or bottled water in Brazil. You should also bring sunscreen as we will spend many hours in the field exposed to sun rays. You must have a passport that is good for six months after you leave the country. In addition, Brazil requires a tourist visa, which requires some planning ahead in order to have enough time for processing. A $1500 non-refundable deposit is required to reserve your seat on this photo tour. The balance of the payment is due before June 1, 2019. Pantanal Wildlife, A Visitor’s Guide to Brazil’s Great Wetland (a Brandt Guide), by James Lowen. This small volume is just a terrific introduction to what this trip is all about. The Pantanal, Brazil’s Forgotten Wilderness (a Sierra Club Publication), by Vic Banks. Times have changed a lot in the 20 years since this book was written; still, it provides a compelling firsthand look at this endangered biological wonderland. Brazil: Amazon and Pantanal (Traveler’s Wildlife Guide series), by David L. Pearson and Les Beletsky. It’s too heavy to carry on the trip, but excellent pre-trip reading about both habitat and wildlife. Birds of Brazil: The Pantanal and Cerrado of Central Brazil (Wildlife Conservation Society), by John A. Gwynne, Robert S. Ridgely, Guy Tudor, and Martha Argel. This brand-new, beautifully executed field guide is perfect for the specific region of this trip. Pantanal: South America’s Wetland Jewel (Firefly Books), by many contributors, with photographs by Theo Allofs. This wonderful collection of wildlife photographs is nicely complemented by short, interesting snippets of text. The Pantanal: Understanding and Preserving the World’s Largest Wetland, edited by Frederick A. Swarts (Paragon Press). This collection of papers and presentations by world authorities on the Pantanal provides excellent background information about conservation and preservation issues. The land of the Pantanal is 99% in private ownership primarily for the purpose of agriculture, ranching in particular. There are 2,500 fazendas in the region, with up to 8 million head of cattle. The Pantanal is under threat from many other human activities, including recreational over-fishing, hunting and poaching of endangered species, uncontrolled tourism, deforestation and burning for agricultural use, and mining of gold and coal. Pressure for economic development, such as the plan to dredge the Paraguay and Parana rivers to create a “hydro-road” allowing ocean-going ships to travel far inland, would have serious consequences for the ecosystem by altering the flooding and drainage cycles. When you see the hordes of caimans, you might think that the yacare are abundant, and that is true now, but only due to recent conservation efforts. For nearly all the 20th century these animals were hunted savagely to supply the global demand for “crocodile skins.” Only since 1990 has trade legislation been enforced strongly enough for poaching to cease. Yacare have recovered rapidly and current population is estimated around 10 million. The story of the recovering Hyacinth Macaw raises our hopes as the population in the Pantanal has risen from 1,500 in 1990 to 3000 in 2000, due primarily to the efforts of The Hyacinth Macaw Project (started in 1980 by a 27-year-old biology student) to increase breeding success. These macaws nest in one particular tree species, called manduvi, that is soft enough for them to hollow out with their beaks, and they prefer to eat the nut of a particular tree, the acuri palm. Both trees are scarce and fall victim to cattle. Come and join me for an experience of a lifetime! Fill your portfolios with new and colourful images of birds and mammals from Pantanal! Have questions? Please send me an email and let´s discuss the itienerary.